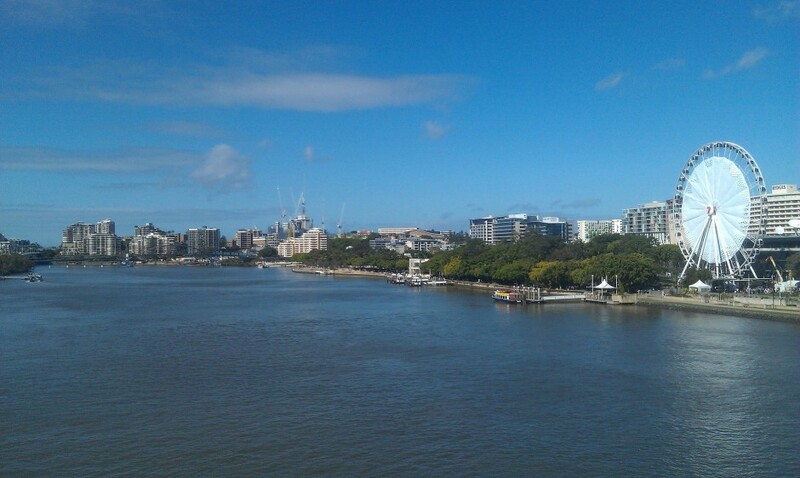 Brisbane: really better than Sydney and Melbourne? Already been to Melbourne? Or in Sydney? Well, you do know the whole of southern and eastern Australia, then. There's otherwise no other city down there. Adelaide? Okay, but, with its many wineries in German hands, here you feel more like in Europe thanin Australia, honestly. Canberra? Is nothing more than a bad compromise, because the two Top Dog cities Melbourne and Sydney could not agree on a capital, which is why the Australian Government hastily an official-capitals built with private mini-state around it, the charm of Brasilia or at best Washington owns. And Brisbane? 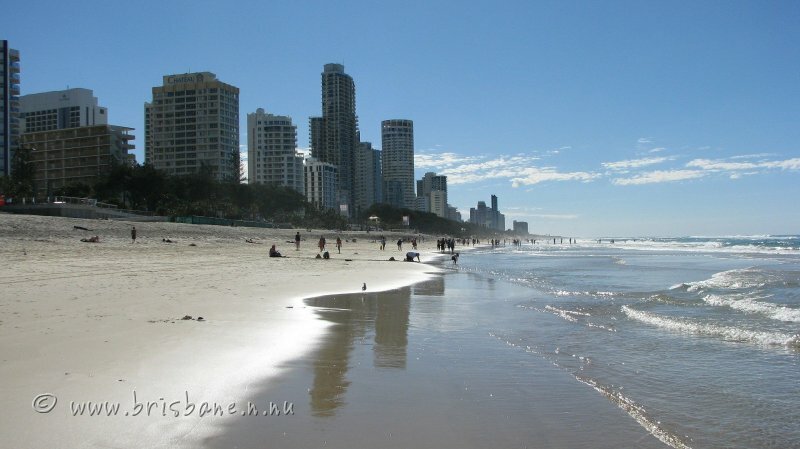 Well, it is just a stopover for those who want out of Sydney to the Sunshine Coast or previously do on the Gold Coast with its maintenance Amusement and surfing locales. So, interrogated all the clichés? Then we can go ahead and wrestle with all prejudices. And with Charlie, our indigenous man from Brisbane. For it is not just that Charlie offering with his company "Urban Adventures" Radel and hiking in Brisbane and so innately the third largest city in Australia (1.8 million inhabitants) and capital of the last year at least 150 years become "sun State" Queensland praise must as a merchant his old vinyl records in the Fortitude Valley Markets up in Chinatown. Namely, it is also true that the 30-year-old is typical of his city, and not only because his great great great grandfather William Pettigrew in Southbank once the first steam-powered sawmill built below, as that area is no trendy was like today, but industrial area, whose later brownfields in 1988 revived by the Expo. No, Charlie as his two and a half hour bike ride once across the city: "Easy Going". "Easy Going" is the magic word for the people and their city on the Brisbane River. The river with its hairpin bends durchschlängelt and parts, umschmiegt and ensnared the city. 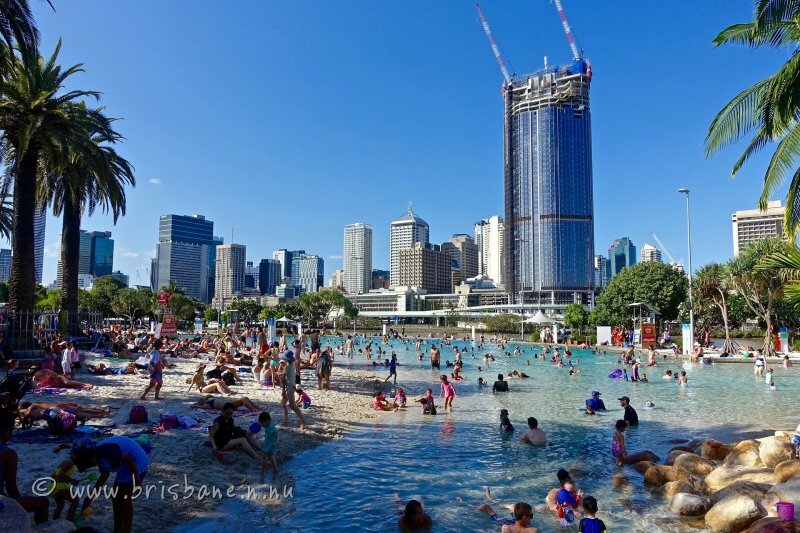 Always so hard on the skyscrapers, the Kangaroo Point with its tufa rock for climbers, various green spaces such as the New Farm Park in the north or architectural highlights such as the National Gallery in Southbank along that there is no room for a beach. But at least there is a (radels- as hiking cheap) Boardwalk always on that water along the orientation offers and beautiful visions, reflections of the new high-rise apartments at the Story Bridge at about days or the new, enlightened ferris wheel at night further upstream, if one of the Victoria Bridge, which connects with South Bank Downtown, overlooking the skyline. All very easy somehow, the city and its people, and that has to do firstly with the weather and secondly with the story. There is indeed no reason to have a bad temper, when in the dead of the Australian winter the sun is shining from a cloudless sky at 20 degrees Celsius. 300 days of sunshine and an average temperature of 22 degrees Celsius in the year ensure serene minds - while in Sydney it rains 900 km further south at 17 degrees and is just frozen at the southern tip in Melbourne at 11 degrees Celsius. Schadenfreude is not on, because for such rivalry Brisbane is too relaxed. It seems as if you have to send back the Melbourne with his English lifestyle and the vibrant Sydney comfortably dressed with its magnificent opera on domestic Australian third place and thereby retains a certain pride - pride in its tradition, its weather and the fact that the Rugby team Queensland every now and then kicks the team of unloved neighbors New South Wales. In Brisbane you stand namely hard men. Already the European immigrants had to be tough guys to manage the fertile land in the 19th century. 114,000 people came alone 1860-1879 and turned the formerly dreaded penal colony of Moreton Bay, while Sydney had sent his prisoners until 1842, a prosperous city, which grew up to the Second World War to 300,000 inhabitants. In war times headquarters of five-star General Douglas MacArthur, the Supreme Commander of the Allied Forces in the Southwest Pacific, made a baby and mining boom in the postwar period of prosperity and balance the previously strong social differences (1912 earned by 63,000 workers, only 20 percent recommended minimum wage). The mining industry was that services met today make glass skyscrapers of banks and hotels the Brisbane skyline; and who can afford to pay more than one million euros for an apartment in a new apartment high-rises on the river. Demand is sufficient because, because Brisbane is the fastest growing city in Australia (3,000 new residents per month). To ask? Or any superlatives? May I help you! Brisbane is the easternmost city in Australia, it has determined the cleanest sidewalks (at least of Queensland) and the most beautiful women (at least of eastern Australia) and guarantees the shortest highway in the continent: In just 1072 meters namely connecting the Bradfield Highway on the Story Bridge Kangaroo Point with the Fortitude Valley, making it a little more than half shorter than the namesake in Sydney. Yes, a bridge such as the famous Sydney Harbour Bridge has here that is also, even the architect is the same (John Bradfield). 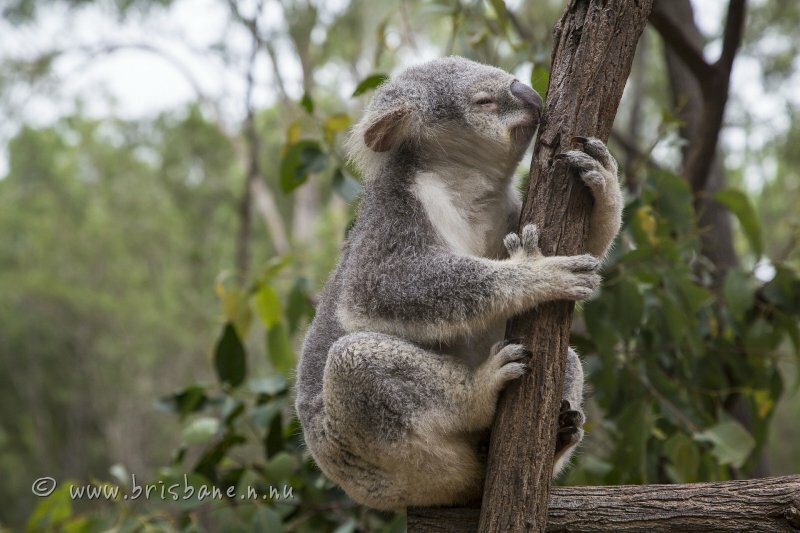 can climb they also and the Glasshouse Mountains in the north, the Mount Coot-Tha in the West Moreton Iceland in the east and admire the hinterland of the Gold Coast in the south. But the fact that it was built from 1935 to 1940, not a status symbol, but to fight unemployment in the Great Depression, shows how one thinks practically in Brisbane. The trouble was worth it. The past 70-year-old building is truly nice to look at while biking on the boardwalk, as it proudly displays its rounded contours in the steel-blue sky stretches almost as beautiful to look at as the shining in the sunlight mirror facades of the skyscrapers or the bright blue river with his unhurried gait. Just have to be careful that you not over driving one of the ibises, who proudly pass the sidewalk because the cyclists so much distracts: For example, the small mangrove forests, which have been formed on the riverbank, like being in Florida and not in the middle a city of millions. The aroma of freshly fried steaks in the parks, because the Brisbane love their barbecue on everything and flee outside, as soon as the first ray of sunshine shows. Then they throw the grill, lying on blankets, play Frisbee and let God be a good man, while pedestrians and cyclists peacefully divide the boardwalk and watch the goings amused. To then perhaps the Powerhouse in New Farm where located in an old power station between ancient fuse boxes the cabaret and music scene rages. 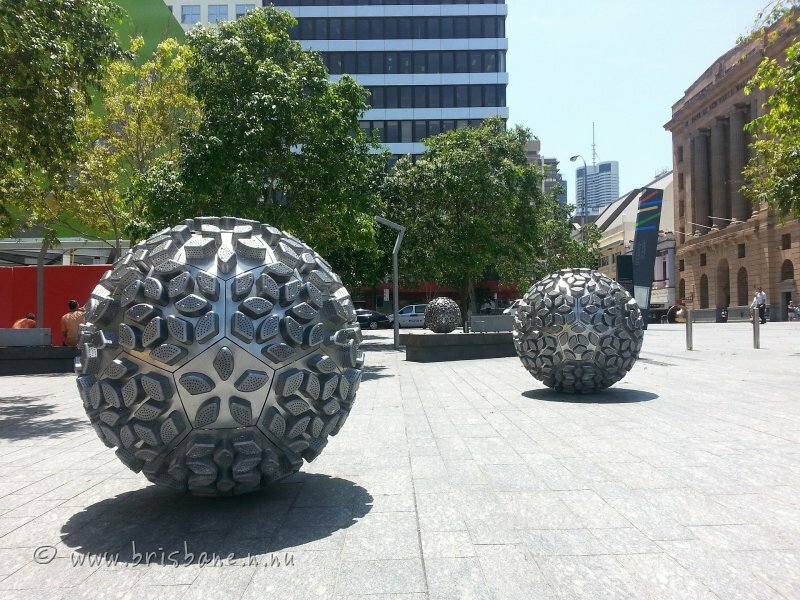 Then from there you could perhaps go admire some Japanese breakdancers performing in front of City Hall in Downtown and then go to the Queen Street Mall, the pedestrian zone. A must-go is also Fortitude Valley, an area where you will find the top restaurants in Brisbane, but also many bars and clubs! And this is where is located, between brothels, gay bars, backpacker hostels and by designed "Emporium Hotel", the "Cloudland" - the latest hot spot for the club scene on two floors with an artificial waterfall, bike on the wall, countless glass beads in the transparent bar counter and the feeling of somehow being in Las Vegas. Or in Ibiza. But not determined in Melbourne. Or in Sydney. © 2019 Brisbane.n.nu. All Rights Reserved.